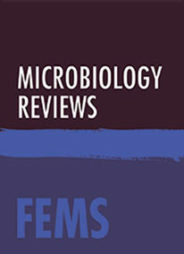 Ranked 5th in Microbiology in the 2016 Journal Citation Reports, FEMS Microbiology Reviews publishes invited reviews from leading authors to provide comprehensive and authoritative coverage on key issues in microbiology. For many years, soil has been considered the ultimate frontier to ecological knowledge. Soils serve many ecosystem functions for humans; for example, they provide the basis for most of our nutrition. Yet, the organisms which act as the catalysts for those services—i.e. the soil microbiota—still remain a relatively unexplored field of research. Leonardo da Vinci stated in the early 16th century that, “we know more about the movement of celestial bodies than about the soil underneath our feet”. While soil bacterial and fungal microbiology has become a fertile ground for scientific discovery, soil protists still remain a big unknown. 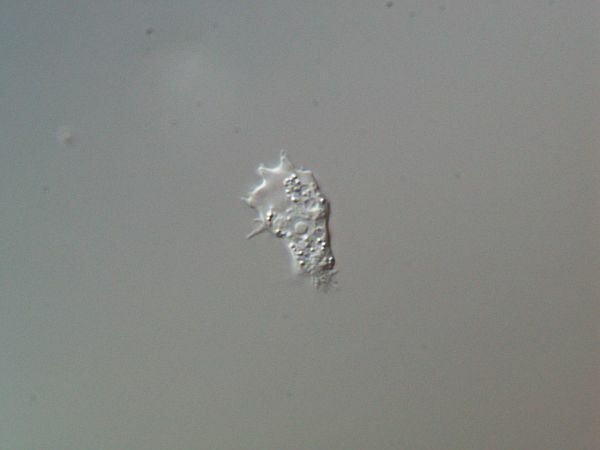 Image credit: Soil protist hartmannella by Stefan Geissen. Used with permission. Certain species’ have nevertheless written history. The potato pathogen Phytophthora infestans was the biological culprit of the Big Irish Famine in the 19th century, causing mass starvation and provoking a mass exodus. Others, like Giardia and Entamoeba histolytica, are widespread human parasites that cause severe pathologies. However, most soil protists provide positive services in belowground ecosystems. Soil protists are mostly tiny (<30µm long) and abundant (hundreds of thousands per gram of soil). They are the main consumers of bacteria, thereby shaping bacterial communities and (as evidenced later) soil functions. This predatory action releases labile nutrients that can be taken up by plants—a process that links protists directly to soil fertility. 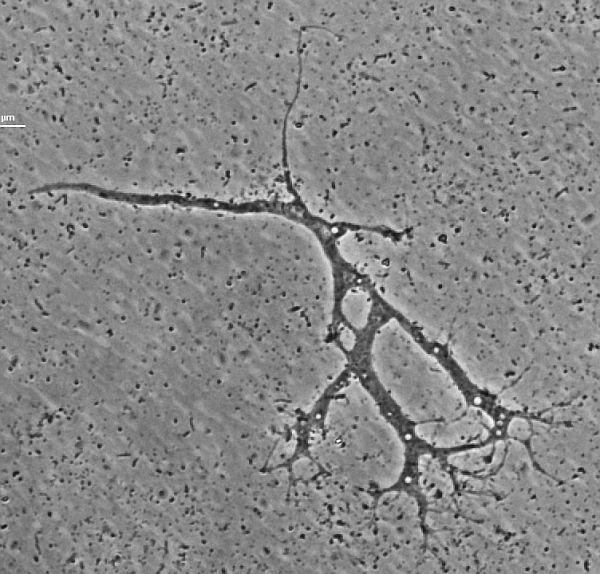 Image Credit: acanthamoeba1.6 by Stefan Geissen and Enrique Lara. Used with permission. But the actions of soil protists are not limited to eating bacteria. Several species’specialise in preying on fungi, including plant pathogens; parasites infect nematodes and arthropods, such as insects; and, finally, phototrophic species’—organisms which obtain energy from sunlight and synthesise organic compounds, also called micro-algae—are predated, constituting a non-negligible pathway for nutrients in the different below ground ecosystems. As a whole, protists are considered a central hub in soil ecosystems, which link microbial decomposers (like bacteria and fungi) to macroscopic plants and animals, and have a huge potential interest for agricultural researchers. Indeed, protists that can manipulate microbial communities may find applications in crop production and pest control, which are both environmentally friendly and sustainable. Until recently, however, the immense diversity of soil microbial eukaryotes—which arguably overtake all other eukaryotes on Earth—was an obstacle for characterising environmental communities. Indeed, molecular approaches to diversity studies in the past two decades have only scratched the surface of the thousands of molecular species present in a single sample. Image Credit: Darbyshirella by Stefan Geissen and Enrique Lara. Used with permission. In addition, organisms living within aggregates are far less accessible than their ecological counterparts, such as plankton. Taxonomic databases for soil protists were, as a consequence, underpopulated, especially as far as small species’ are concerned. The revolution brought by novel sequencing technologies (collectively called next generation sequencing) now allows researchers to retrieve unprecedented amounts of genetic information from the environment. Massive efforts to describe soil eukaryotic microbes are currently undertaken in several laboratories around the world, with a special focus on the function of these organisms. In addition, big data oriented statistical tools are developed to infer the intricate interaction networks that link these organisms to their natural environments, develop models for holistic foodweb modelling, and finally quantify their contribution to nutrient flows and ecosystem functions. Knowledge building is, as always, essential to the application of new techniques. But protist research is on course to being placed at the centre of soil biology, and certainly has the potential to live up to all its hopes and promises. Featured Image Credit: “Soil in Hands” by Natural Resources Conservation Service Soil Health Campaign. CC BY 2.0 via Flickr. Enrique Lara obtained his PhD at the Swiss Federal Institute of Technology in Lausanne. After several postdoctoral stays in Denmark and France, he occupied a senior scientist position at the University of Neuchâtel (Switzerland) and is now working at the Real Jardín Botánico (CSIC) in Madrid as a senior researcher in the field of protist ecology, diversity and evolution. He is the author of ‘Soil protists: a fertile frontier in soil biology research’, published in FEMS Microbiology Reviews. Stefan Geisen obtained his PhD at the University of Cologne, Germany. He has done postdocs at the Netherlands Institute of Ecology (NIOO) and Wageningen University, the Netherlands. He has now started a junior group at the NIOO, to work on the diversity and functioning of soil biodiversity with a particular focus on protists. He is the first author of ‘Soil protists: a fertile frontier in soil biology research’, published in FEMS Microbiology Reviews.